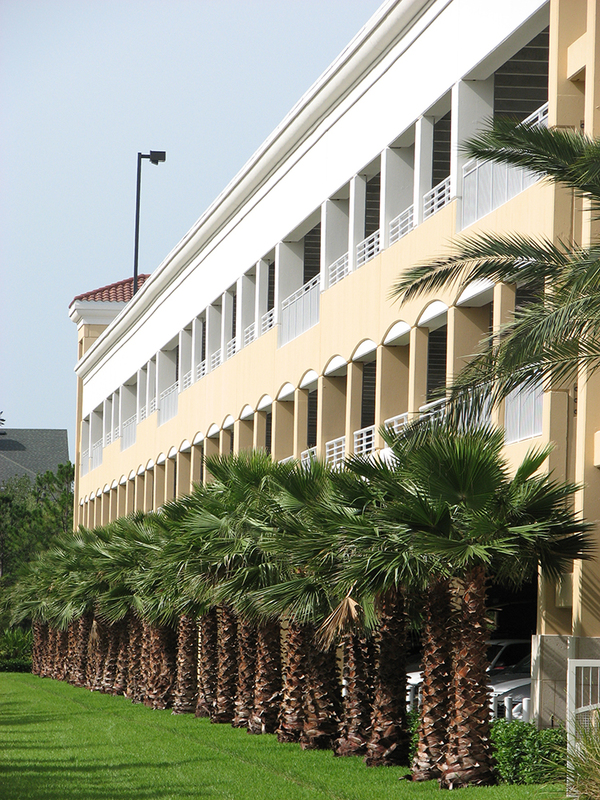 The Orlando Premium Outlets provide a calming Mediterranean style to the Orlando area. 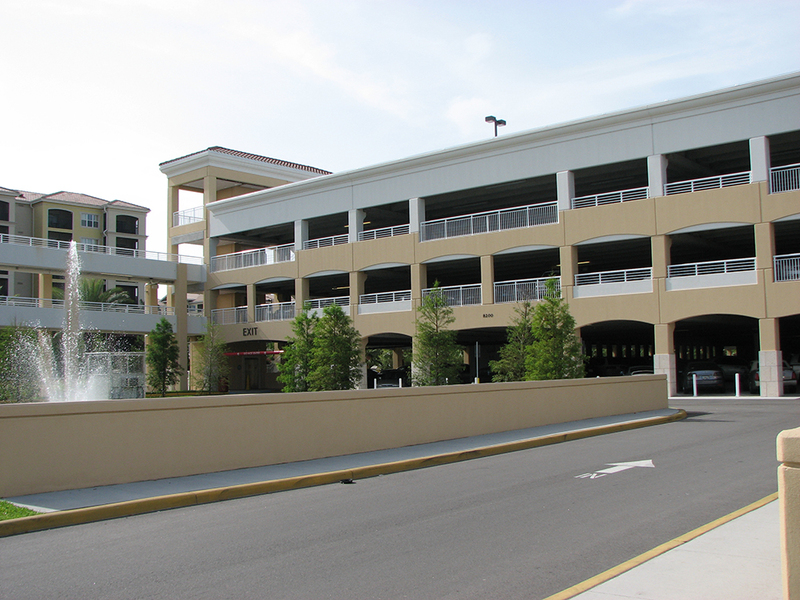 Hennon Group Architects was asked to design a parking deck that would complement the existing outlet center and the surrounding buildings while providing additional parking spaces for the outlet center. 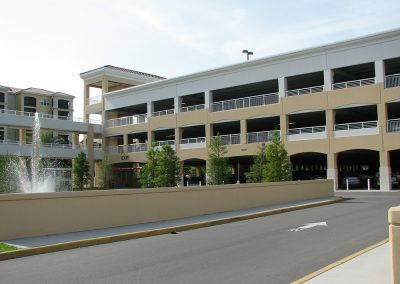 This design-build project was completed on an aggressive 19-month schedule and the completed 4-level open parking deck provides the Orlando Premium Outlets with an additional 1,440 parking spaces. The deck was designed as a Class A parking structure, Type II construction and is predominantly pre-cast concrete double tees. 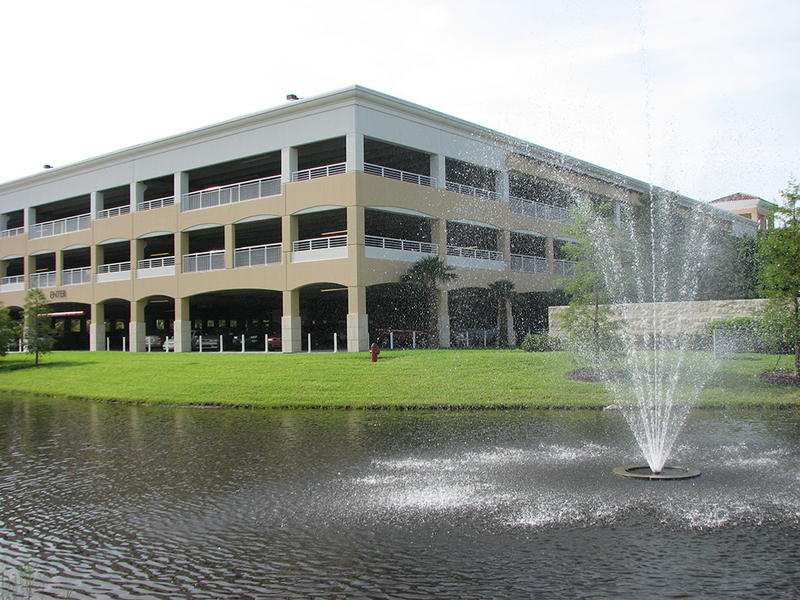 Pitched roofs were implemented on the stair towers and colors and materials, including EIFS, cast stone and concrete roof tiles, complement the surrounding buildings – the Shrine Church on one side and Residential Timeshares and the Hilton Grand Vacation Hotel on the other. 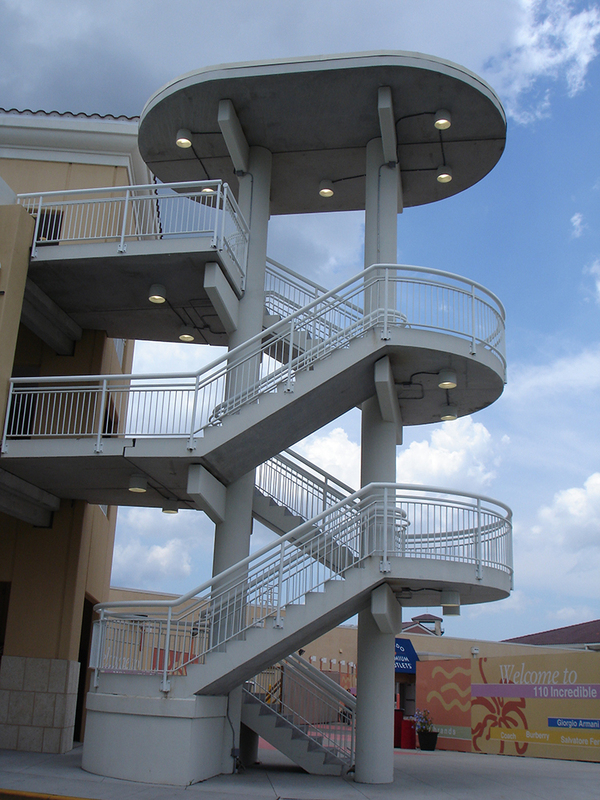 Major design features of this structure include a pedestrian bridge and monumental stair tower as the focal point of the parking deck that provide customers access from different levels of the deck to the Outlet Center. 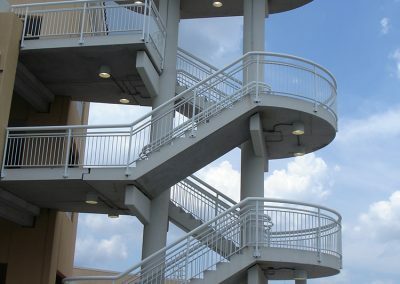 Three additional stair towers provide alternate routes from the parking deck as well as two elevators with glass openings. Cast stone is used at the base of each of these stair towers, and the areas of arrival make use of tile flooring and cast stone surround at the elevators. 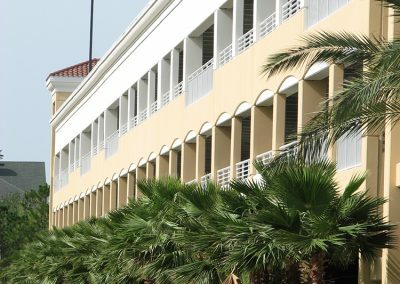 Arched openings with a combination of horizontal and vertical railings create the façade and are lined with palm trees on the East and West. Further attention was given to details such as the inclusion of planter boxes that are filled with colorful bougainvillea to accent the light colors and provide a serene aesthetic to the church side. Additionally, an integrated storm water retention basin and water feature was added for visual effects.